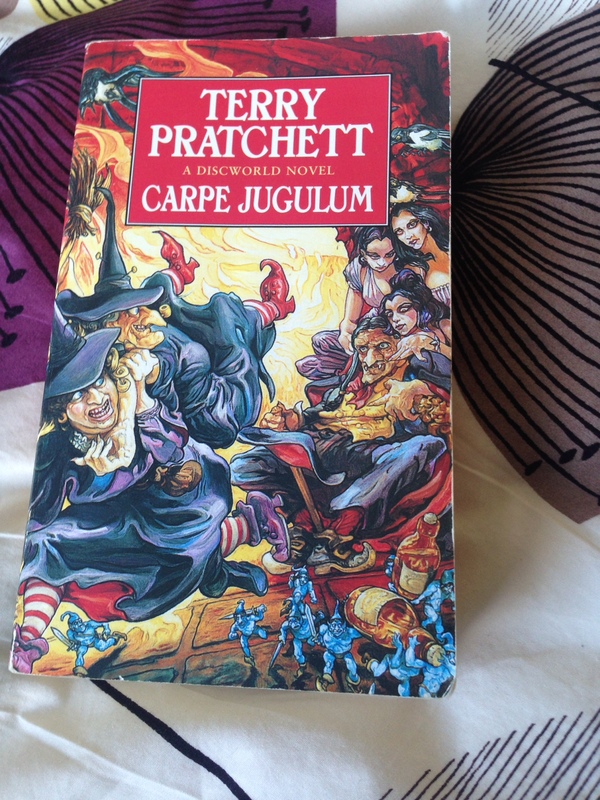 Carpe Jugulum is the last of the first wave of witches novels. This time GRanny and the rest of the Lancre coven are faced with invading vampires from Uberwald. My reservations are that the witches novels do feel a little bit formulaic at this point. That said it is crammed full of puns and jokes and footnotes that I love. I love the ideas of the vampires trying new ideas. There are some fantastic ideas like the gnarly ground, which is highly magical and changes depending on how you are feeling as you traverse it. Vampires trying to fit by wearing colourful clothes and going by mundane names. As with all Pratchett novels it is a romp. The pacing is breakneck speed and there is a lot of drama, well Granny Weatherwax does have impeccable timing. I love how there is ambiguity in the coven roles in this one. Agnes assumes the maiden position and Magrat who is a new mother is now able to surprise Nanny Ogg with her more colourful jokes. Nanny finds herself pushed into the role of Crone and where does that leave Granny? That’s one of the central themes is the change and getting older. Granny isn’t ready to conform just yet. This is where I am leaving my Discworld re-read for the moment. I have so much affection for the witches. Granny Weatherwax remains my hero and I still feel a strong kinship with Agnes Nitt. My appreciation for Magrat and Nanny Ogg has deepened and as always, Greebo is my favourite cat in literature. I’m currently reading The Shepherd’s Crown which is the final Discworld novel and coincidentally features the witches. I will be posting a reaction to it once I’ve finished it.